Are you looking for a new way to engage, excite and offer more to your conference attendees, staff and members. 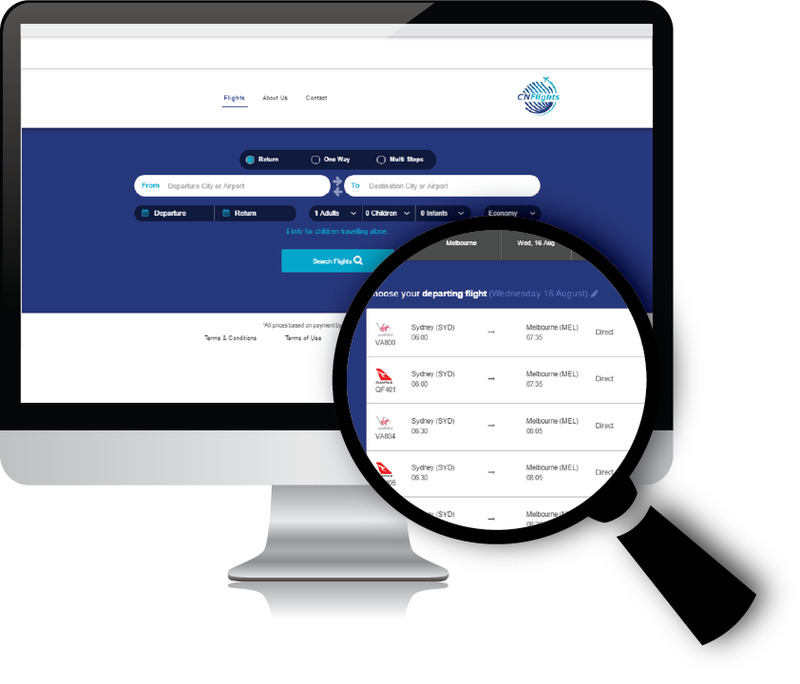 Event organisers across Australia are taking advantage of new flight booking technology being offered by ConferenceNational's new flight division: CN Flights. Imagine a branded and dedicated Flight Booking Portal, allowing your conference attendees, members and staff to easily search and book best fare of the day flights across all major airlines, while enjoying zero booking fees? But what about frequent flyer points? CN Flights' has got this covered, allowing you to redeem points with all your favourite carriers. When you combine this flight booking technology with a responsive and tailored online registration system and Accommodation Booking Portal you are well on your way to maximising conference attendance and enhancing the attendee experience. We would love to hear from you to discuss whether this may be a great fit for your next event. Click here to get in touch or give us a call on 1300 79 20 30.